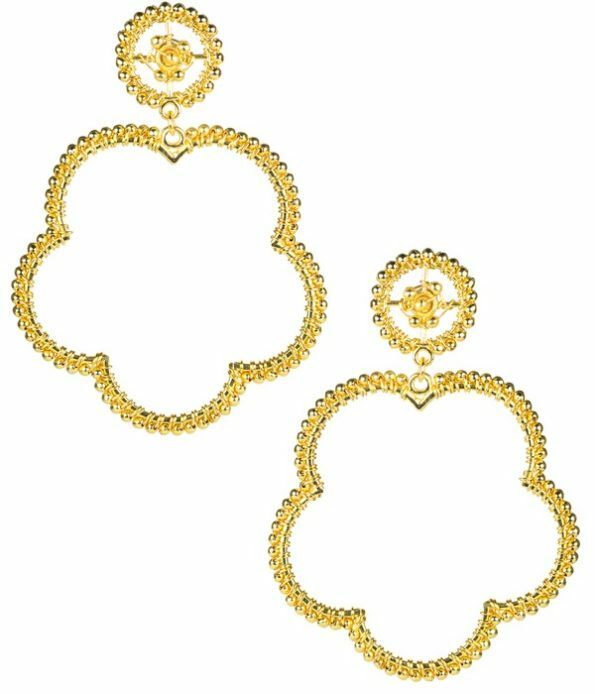 The perfect lightweight statement earring. 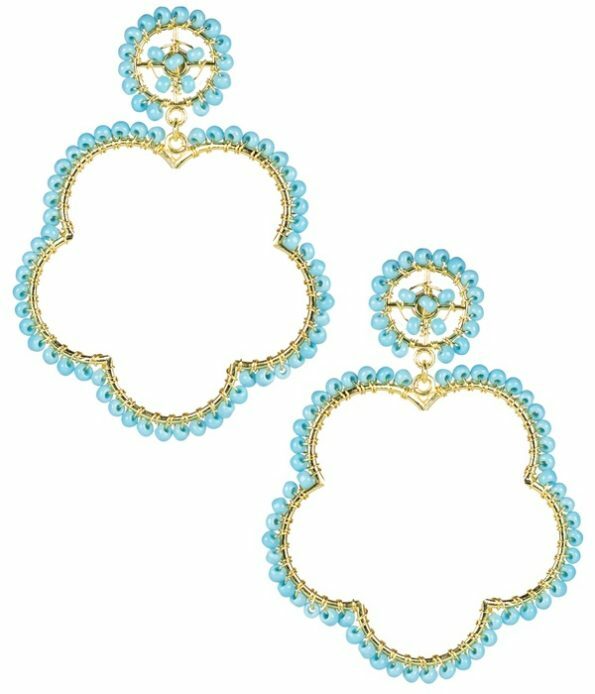 Available in your choice of Gold or Turquoise. Earrings are 3″ Long and 2″ Wide with Pierced Posts.